Fever is one of the most common reasons a patient will come to the doctor. Many fevers, especially in children, are mild and caused by a transient viral infection. However, a fever can be a problem, and we have seen a handful of children presenting to our practice having had a febrile seizure, so I thought we should talk about fever management. Temperatures vary depending on where you take it. The most accurate way to take a temperature is rectally, though I know most people are not too keen on this. Temperature can be taken orally, but it’s important to be aware than an oral temperature can be affected by open mouth breathing and if you drink hot/cold fluids. Most people these days seem to have the infrared in-ear thermometers. These are accurate, and a good quality thermometer can give a reading very close to core temperature. In Neonates (babies under 28 days) temperature should always be measured rectally. A temperature >38 degrees is considered a fever. I would use this guideline for any baby under 3 months old, and any baby under 3 months old with a fever needs to be seen by a doctor and needs to be fully investigated for the cause. It would not be unreasonable if your baby is under 3 months old, to go straight to the paediatrician. In children age 3-36 months a rectal temperature of 38-39 is considered a fever. For a temperature of 38-39 without any danger signs (see below) it would not be unreasonable to try antipyretics and monitor your child at home, seeking advice if the fever does not break or if any danger signs develop. A fever >39 degrees needs to be investigated. If you take an oral temperature in your child, be aware that it is generally 0.6 degrees lower than rectal temperature. 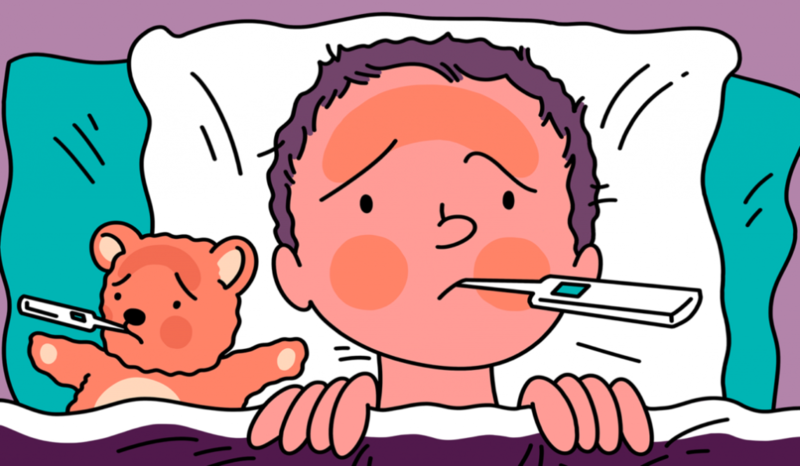 In older children and adults an oral temperature of 37.8-39.5 is considered a fever. Anything >39.5 is a fever of concern and you should see a doctor. Now I know what a fever is, what are danger signs I should look out for in my child and where should I go? If your child has difficulty breathing, a seizure, seems confused or has been out in very high heat for the day (possibly might have heat stroke) you should go to casualty. If they have fever and a rash, headache, diarrhoea or vomiting, or complain of pain on urination or abdominal pain, you should try get an urgent doctor’s appointment, or walk in and wait to be seen. 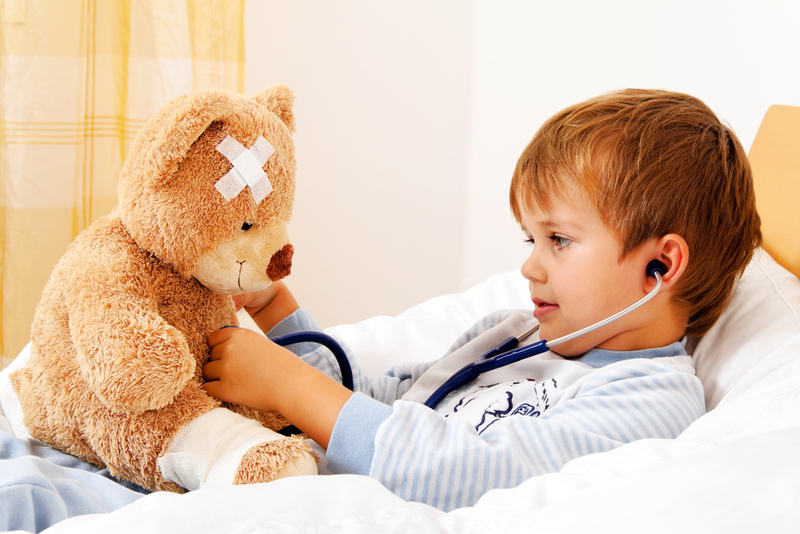 At Mediwell we will always see these children, and if the doctor is busy and you’re concerned, please speak to one of our nurses who will check all their vital signs and if they are concerned they will call the doctor to come check urgently. If your child seems otherwise well but has had their fever for 2 days, make an appointment for the following day. In the morning if the fever has gone and they seem well, you can re-evaluate, but if the fever is still there, bring them through so we can examine them. Fever medications: what can I give and how much? Paracetamol (Calpol/Panado and other generics) is the first line medication for fever. The dose of paracetamol is 10-15mg/kg per dose, every 6 hours, with a maximum of 1g per dose in adults and a maximum of 4 doses in 24 hours. Calpol and Panado have 120mg of paracetamol per 5ml (24mg per ml), so the formula I use is [15 x Wt. (kg)] /24 = the number of ml’s to give per dose. Overuse of paracetamol can result in liver damage that can be irreversible, and in some cases, fatal. If you are not managing to control the fever with 4 doses of Paracetamol, please see your doctor. Ibuprofen (Nurofen/Ibugesic) is also used for fever, and the dose is 10mg/kg per dose 6hourly, to a maximum dose of 40mg/kg/day. Most standard ibuprofen syrups have a 100mg/5ml. Mefenamic acid (Ponstel/Ponstan) is also an option. Mefenamic acid is dosed at 25mg/kg per DAY, divided into 3 or 4 doses. Most suspensions contain 50mg/5ml. The most commonly used suppository is probably Empaped, which is a paracetamol suppository. There are 2 doses – 125 mg, for children age 3-12 months, and 250mg, for children 1-5years. You can use a maximum of four suppositories per day. Panamor is another commonly used suppository, which contains diclofenac. It is only indicated for children above the age of two, and not officially indicated for fever, although is often used off label in younger children at appropriate doses. Panamor is doses at 2-3mg/kg per DAY, in 2 or 3 divided doses, and comes in a 12.5mg, 25mg and 125mg suppository. One of the biggest concerns for parents is that if their child has a high fever, they might have a febrile seizure. Febrile seizures are age dependent, and only occur in children age 6 months to 5 years. If a child has a seizure outside this age bracket, it is likely not a febrile seizure and needs to be investigated. A febrile seizure should last less than 5 minutes. Only 4% of children have febrile seizures – it is not common! Simple febrile seizures do not cause harm to the child’s brain, and children that have had a febrile seizure are not at an increased risk of developing epilepsy, learning disabilities or developmental delay. If your child has a febrile seizure – lie them down and turn them onto their side so that they do not choke on excessive oral secretions/their tongue. 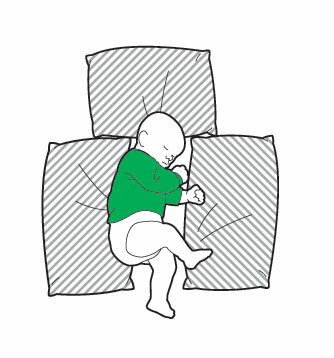 This is called the recovery position. Do not put anything in their mouth, and if you can, time the seizure. If you are close to a medical facility you can quickly go there, but most febrile seizures will have stopped on their own before you reach a health facility. If the seizure stops quickly, give them medication for the fever, ideally a suppository (eg Empaped) especially if they are still fitting, and go to your nearest health facility. If the fit seems to continue for a long time either call an ambulance or get to your nearest emergency as soon as possible.